Application that actually helps make lab conditions of QSP (Quality, Service & Profit) a reality. Meets industry standard quality requirements, provide a high level of customer service & profit. Provides your calibration customers with secure 24/7 real time update of their current instrument and historical calibration records/results and submission of unscheduled work requests against instrument. All from a common Internet browser. Customers seeking accreditation can automatically generate calibration uncertainties on a per-test point basis to calculate accurate and repeatable per-test-point uncertainty values in real time. This solution is fully customized to usage of all kind of calibration procedures under various Calibration Standards (ISO, A2LA, etc). From sales order to shipping to billing, it covers everything - traceable and trackable. Monitor scheduled and unscheduled calibrations, retrieve calibration records, produce calibration certificates and bar-coded calibration labels, customized reports for management analysis and so much more. Equipped with intelligent add-ons of document management, etc. Comes with excellent integration of customer facing portal and mobile apps for your customers connected with you 24X7.  Give your calibration customers real-time access to their records. Let them see their test results, samples, etc in their best ways to get connected with your LAB. Access your LAB stored in Cloud Platform. Fully customized for smaller to bigger calibration labs, can be hosted on cloud platform or internally. Pharmaceutical, Life sciences, Biotech, Biopharmaceuticals and Biological industries are driven by regulatory compliance. The difficulty to increase compliance and effectiveness within metrology and calibration laboratories is at an all time high. Within highly flexible manufacturing environments, the laboratories that ensure the quality, safety, and efficacy of products must be equally flexible. Environmental laboratories is all about delivering allowably logical testing results, while constantly adapting to increasingly strict regulations. Laboratory must be flexibility and smart to adapt and meet changing needs of veterinary practices and animal healthcare. Labs must perform precise, real-time product safety testing at all stages to ensure quality with food safety legislation. Oil and Gas industry’s QC need to have a close watch on production, raw material testing and process testing. The best way to get a feel for how Calibration LIMS can help your organization and to see just how simple it is to use, is to give it a go for yourself. Once you’ve request for a free trial one of our representatives will be in contact with you to configure your trial account and get you up and running. During your trial you will have full access to all Calibration LIMS functionality and reporting. We know that each and every business is unique and because of that our partner programmes are flexible to allow you to choose a way of working with us that suits you and your customers. We offer competitive margins that are agreed upfront and we ensure that there are clearly defined business objectives to help you succeed. Please check ROI (return on investment) calculator and see how valuable Calibration LIMS would be for your lab and customers. It will also open up lots of good idea on how Labsols LIMS can automate lab operations, increase revenue and decision making effort.